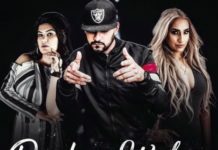 Peg Ni Giney Lyrics – The Landers Pegg Ni Ginne Ho peen lagge assi tere laare ginde Ho kade peg ni gine Is New Song Sung By The Landers. Music i Composed by The Kidd And Lyrics Are penned By Rabb Sukh Rakhey. Song Is Released By Speed Records On 15th Dec. 2018. Enjoy The Lyrics, Whatsapp Status And Video Song Of Pegg Ni Ginne By The Landders. Ho Kadde Peg Ni Ginne..
Peg Ni Ginne..Peg Ni Ginne..
Ajj Kal Mitraan Nu Bhull Hi Gayi..
Tere Bina Changaa Bhala Je Laine Aa..